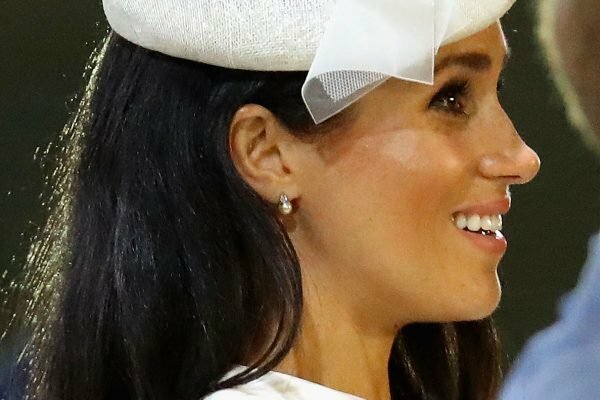 The hidden significance behind the jewellery Meghan Markle wore yesterday. On Tuesday, Prince Harry and Meghan Markle landed in Fiji. The Duchess kept things toasty walking through the rain in a long-sleeved, cream dress by Australian designer Zimmermann (this midi dress from the label is similar) and a fascinator by exclusive London milliner Stephen Jones. 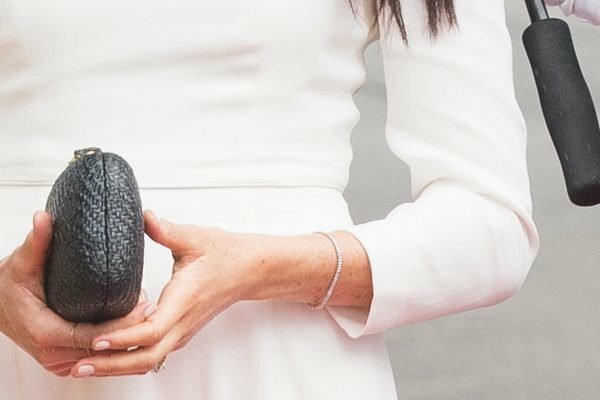 Her straw clutch is by California-based brand Kayu Anna, and although the black colourway is no longer available, a beige-tone version is currently on sale for $158.87 on Shopbop. We’re also a little in love with this stunning coral, seashell edition from their website. 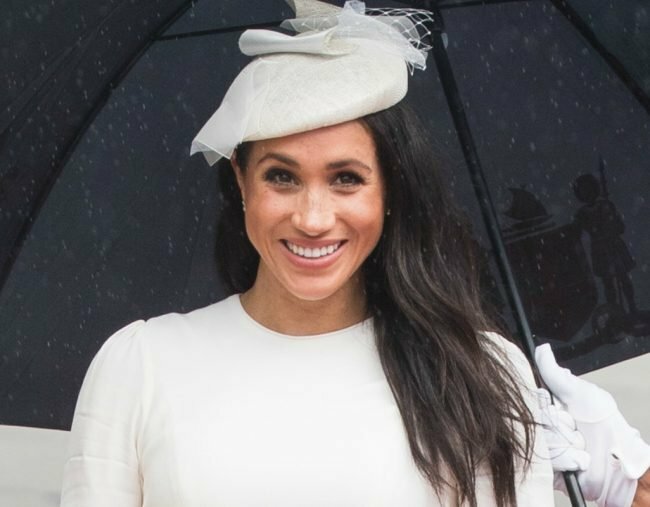 Meghan’s shoes were once again her go-to pointed slingbacks from Tabitha Simmons. But it was her jewellery that really stole the show. Keen observers noticed the Duchess wearing jewellery gifted to her by members of the royal family. Meghan Markle&apos;s pearl earrings. 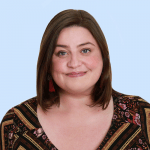 Image: Supplied. Meghan Markle&apos;s diamond bracelet. Image: Getty. Her streamlined diamond tennis bracelet, which she also wore to her wedding, was given to her by father-in-law, Prince Charles. The Duchess was also wearing her pearl and diamond-drop pendant earrings, which were gifted to her by the Queen for their first ever outing together. Having completed the Australian leg of their tour, the royal couple are now visiting Fiji before heading on to Tonga.